Hey guys, I decided to start using automated webinars some time ago. I tested every software on the market and today we're looking at what I consider to be the top automated webinar software on the market. Who's The Creators? It's Mike Filsaime & Andy Jenkins. The Quick Verdict on whether you should buy? What is Everwebinar And Will It Help You? 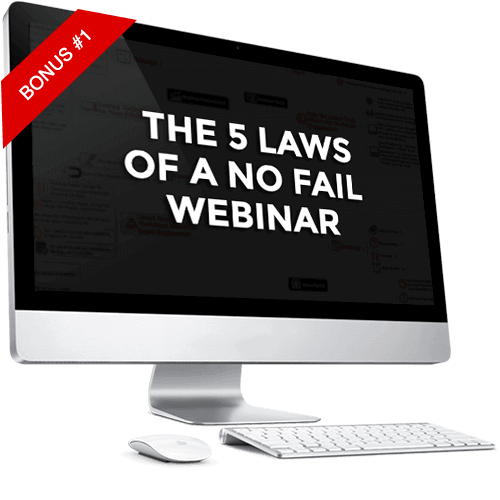 We all know the power of webinars – it's a conversion beast. You're able to speak to your audience as a group without having to individually talk to prospects. It's a very powerful tool. One thing is for sure, technology should never get in the way. And that's the reason I'm writing this review. We'll be covering the benefits to using the software and including a very generous bonus if you decide to pick up the software from this Everwebinar Review. What's the Benefits to Using Everwebinar? 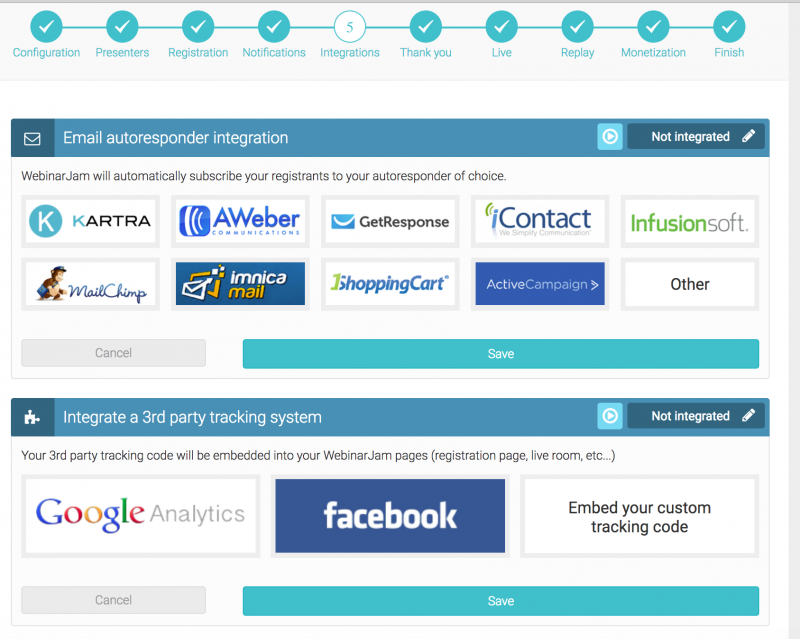 Can I Integrate Everwebinar with My Autoresponder Service? Ready to Launch Your Everwebinar? Ok- What's the Price of Everwebinar? 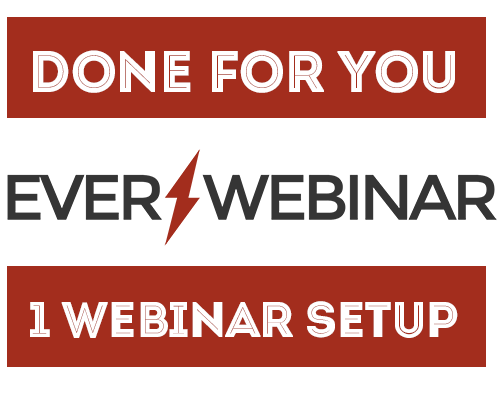 Ready to get started with Everwebinar and creating your own Automated Webinar? Makes the webinar appear live allowing you to set it and forget it. Allows you to set Just In Time webinars that will be going live in just a few minutes after the person subscribes or you can also schedule the webinar to occur at a specific time on specific days. 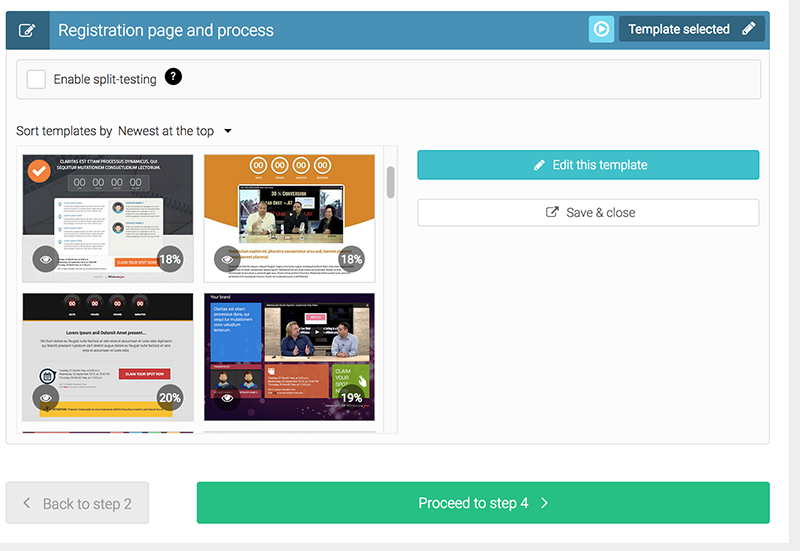 Multiple high quality optin templates that allows you to sort based on the best conversion. Advanced reporting to see the average time people stayed, attendees list, and list of those that didn't attend the entire webinar. It's very simple to start your first Everwebinar campaign. That's the biggest selling point for this software. With the user interface, they've got it laid out in such a way that everything is step by step. 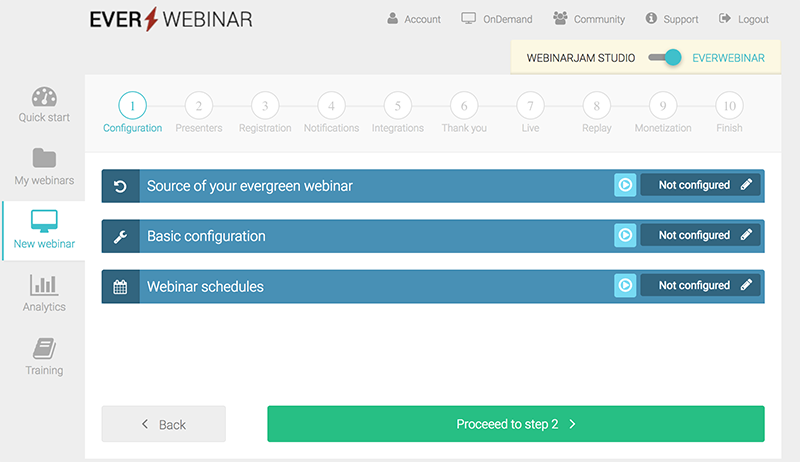 As you can see in the image below, you'll find when you're setting this up that you can import a Webinar Jam webinar right into Everwebinar or you can use an external video file. Personally, we use Vimeo Pro but you can also use Amazon s3 to host your video files. Webinarjam is a separate product but is created by the same creators – Mike Filsaime and Andy Jenkins. 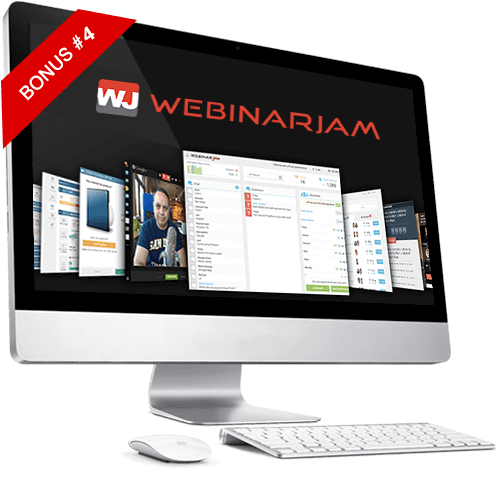 The difference is that Webinarjam is used for Live Webinars where Everwebinar is only used for pre-recorded webinars or videos to be displayed as a webinar. You can see our Webinarjam review and the special 60 day trial here. 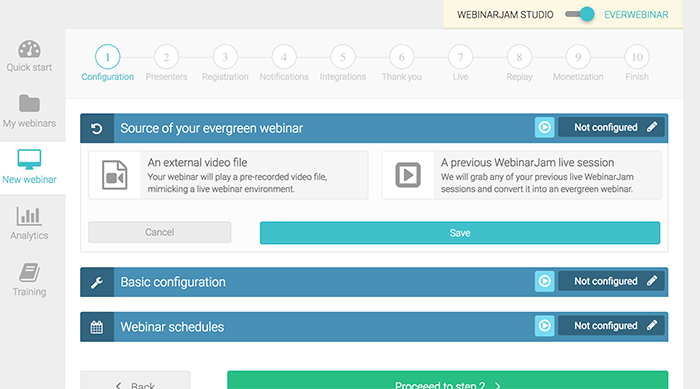 Once you've decided on whether to use an external video file or importing your webinar from Webinar Jam, it's time to schedule your Everwebinar. You have complete control over all aspects. You can set the webinar up for the same hour every day or if you've got a specific day you want the webinar to repeat on – it's all up to you. Just in Time Webinars are also an option. 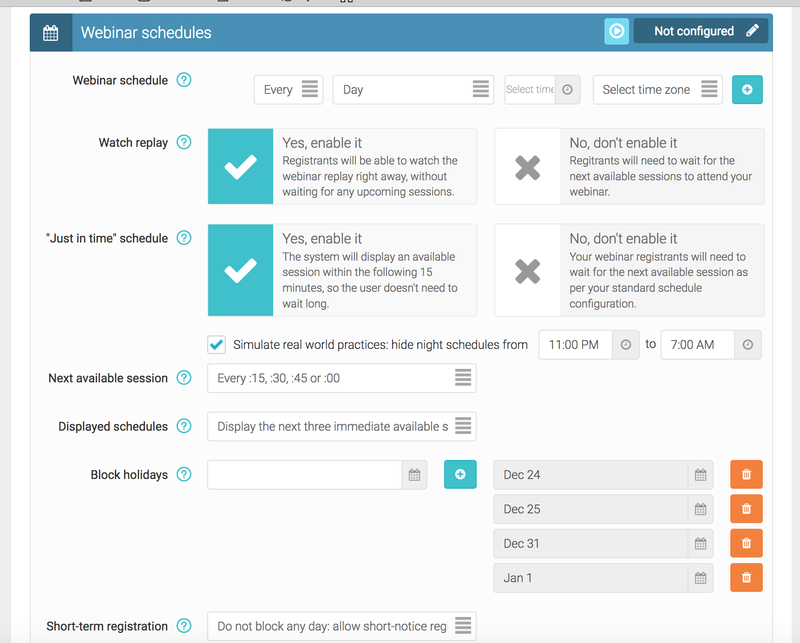 This allows you to setup a webinar to automatically start every 15 minutes, 30 minutes or 1 hour. This way, when someone goes to your page to register, they can join the webinar soon instead of having to wait hours later. Plus, you can even block holidays or certain times of the day if you'd like. When using Everwebinar you've got beautiful registration pages that will integrate with your favorite autoresponder. Plus, you've also got the option of seeing which ones convert the best! If you look closely in the image below, you'll see the optin percentage on each of the registration pages averaged over all of the Everwebinar users. Getting people to register is the first goal. Next, is getting people to show up and getting them to your replay. That's where the Notifications panel comes in. 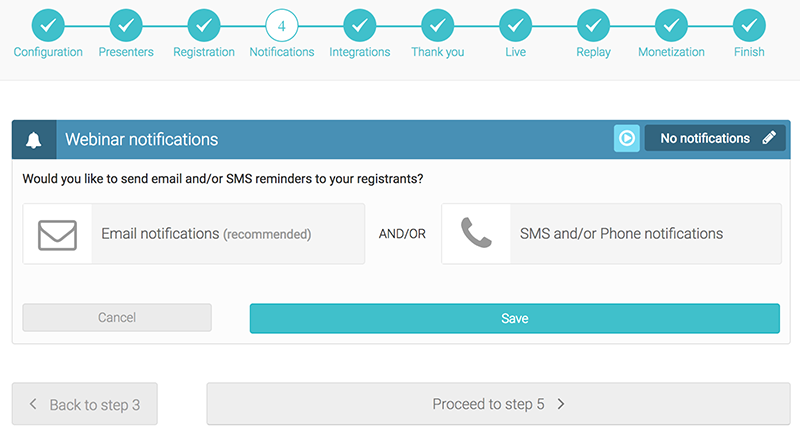 You have the option to use Email or SMS or both to notify your registrants of your automated webinar. In order to use SMS, you'll need to integrate with either Twilio or Tropo service. When using the built in email notifications, you can configure the following emails to go out. This all happens under the Integration tab. It's broken down into two parts. The 3rd party scripts are used for tracking or if you want to retarget your customers, this is where you'd place your retargeting code. One thing I should mention is when using Everwebinar to integrate with Infusionsoft and Active Campaign, you've got options to integrate with a Simple or Deep Integration. The Deep Integration can add tags based on if the registrant attends, how long they watch the webinar, or if they completed your automated webinar. It's very sophisticated yet easy to setup. This way you can communicate with your audience differently based on if they watched the webinar or skipped out. Now, we're getting close to launching our first Everwebinar. You've got several options to choose from on how you'd like your webinar to look. Just because it's automated, doesn't mean that you'll be missing out on some of the features and benefits that you've got when using Live Webinars. Countdown Video – this is an option if you want you can use your own Countdown Video before your webinar begins, use the default one, or choose none. 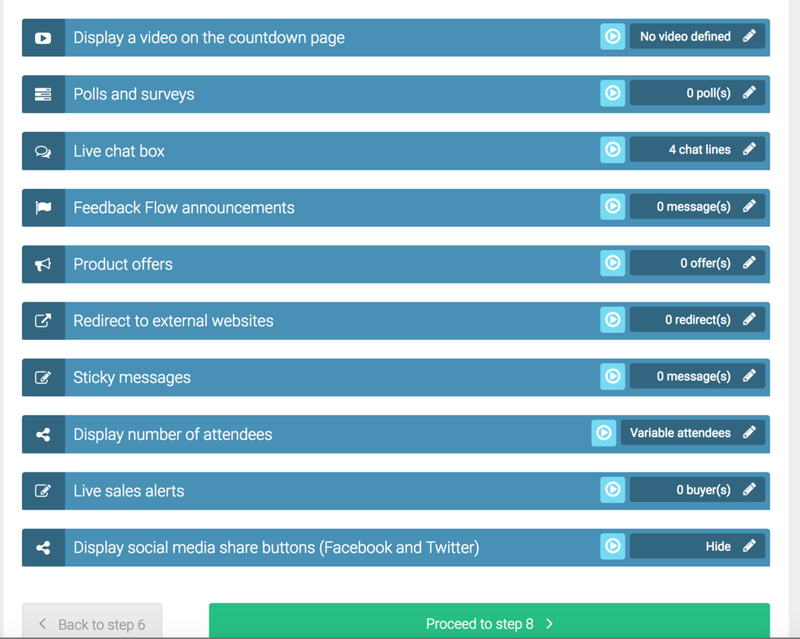 Live Chat Box – You can mimic a live chat with pre-loaded questions to give it a feel of a Live Webinar. You can disable this or you can use a Question box. If you decide to use the question box, whenever someone types in a comment, it gets dropped to your email. Feedback Flow – This is a message that you can place at a specific time that will be displayed to your attendees. Product Offers – This is when you present your offer or your pitch. You'll give a link to where your attendees can purchase your product. Redirect to An External Site allows you to do just that once your webinar is over. Sticky Messages are messages that are at the top of the chat box for as long as you want. Display Number of Attendees – Using this you can set the number of simulated attendees you'd like to have for your automated webinar and this even has the option to use Dynamic Attendees that mimic that of a live webinar. Live Sales Alerts are like a ticker for when someone purchases your product- this can all be timed for when you want these sales alerts to be displayed to your audience. The great thing about using webinars is the REPLAYS! That means if someone doesn't catch all of your webinar or they skip out before you make the offer, then you've got the replay on the backend. And using Everwebinar, the replay feature is built in with a click. You can set a timer on the replay page to take it down after a certain period of time, display social icons, and allow users to submit questions from the replay page as well. You can also dictate the message that gets sent to them in the Notifications panel or just follow up using your autoresponder service you've got integrated. When you sign up for Everwebinar, you'll also get these special bonuses when you order today. We'll have our team setup and configure your first Webinar. 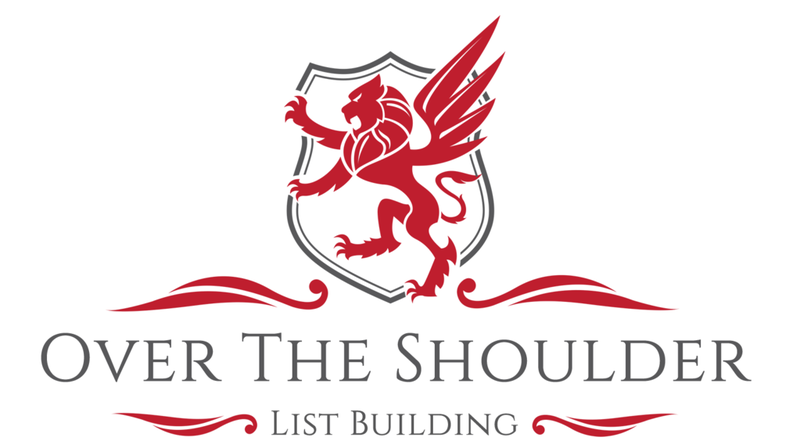 You'll get access to our Over The Shoulder List Building Class. 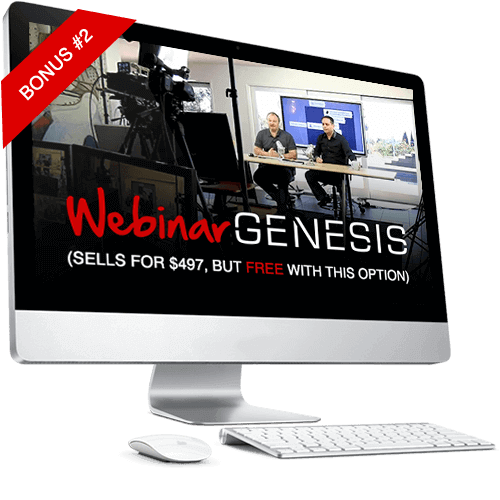 This is the exact blueprint we're using to drive leads with automated webinars. 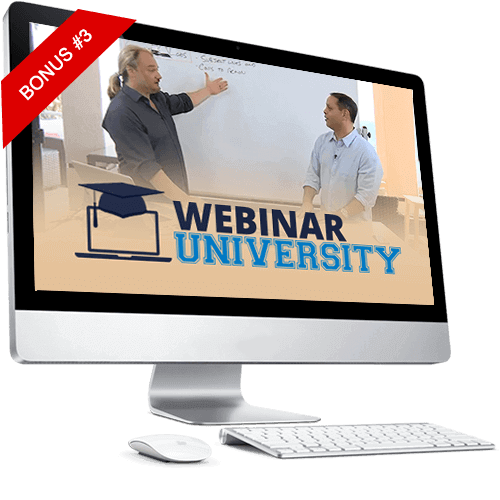 Currently, you can enroll and use the Everwebinar service for unlimited number of webinars for only $497 Per Year. However, since you're here today, you can claim a Free 60 Day Trial. That means, you can have your webinars running for the next 60 days, turning a profit before you have to pay a cent. Clear Your Cookies and close all other windows just to be on the safe side.